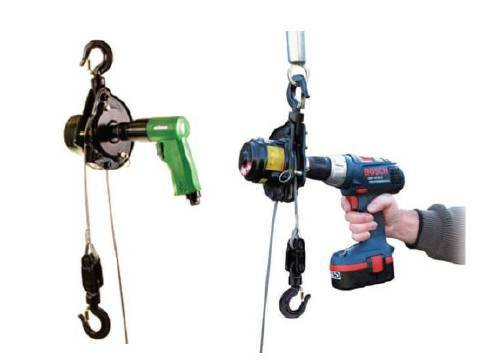 Safe Option Solutions are pleased to offer the Pulleyman for any portable site lifting. 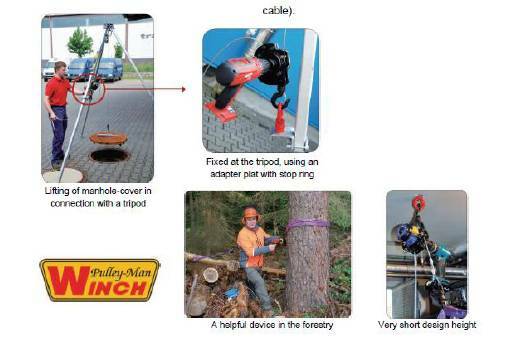 The Pulleyman Portable Mini Winch will assist to revolutionise lifting at work or home. 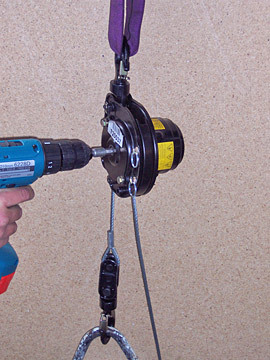 Light work: maintenance, upkeep, repairs, fitting, installation, small sites, agriculture, first aid, etc. Haulage capacity for loads on wheels: from 450 to 1,500kg on one fall depending on the slope. 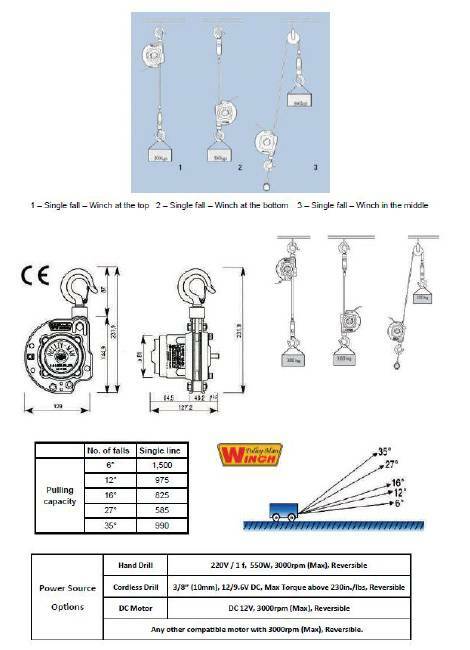 Supplied as standard with 12m cable (aviation type 4.76mm galvanized steel cable).